Code refactored, minor bugs fixed. 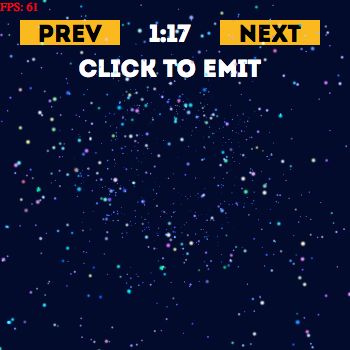 To go to the stress test click on image at top of the post (11 particle emitters, 9776 individual particles). 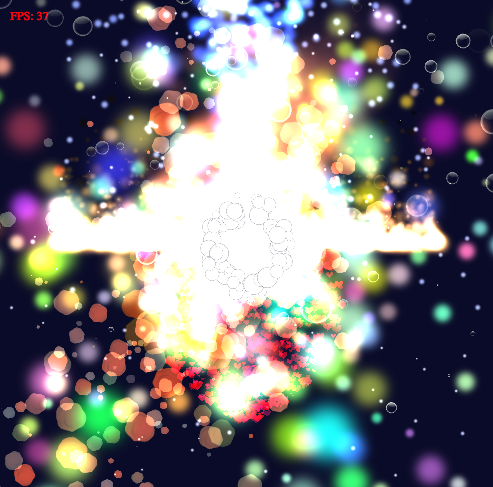 When I need particles for one of my games, I searched a bit, and found excellent Particle Designer 2 for mac. 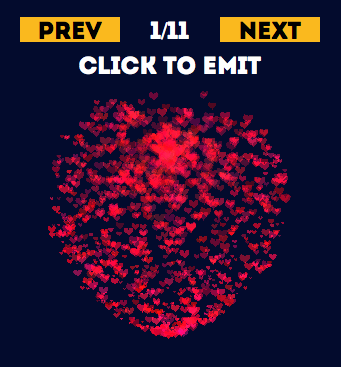 Although this app is a little expensive (€36.99) and sometimes crashes, it allows you to create particle systems in an easy way. 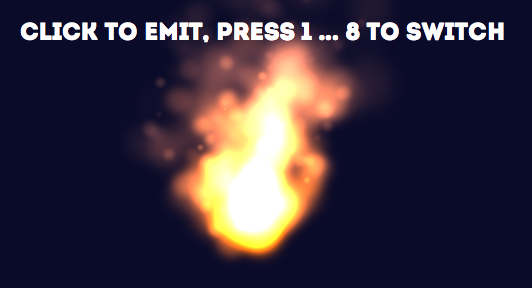 Then I started looking for particle emitter, compatible with OpenFL, but all I found – it is old and abandoned projects. I decide to create my own library.